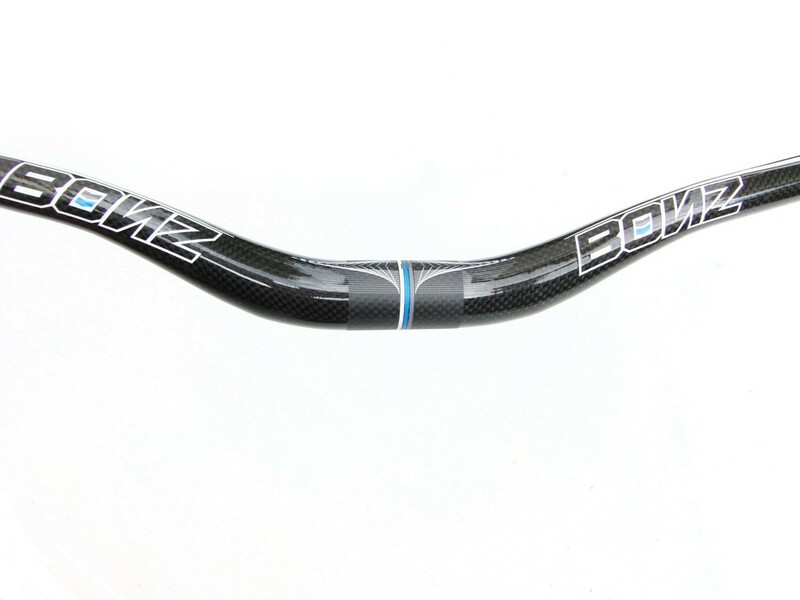 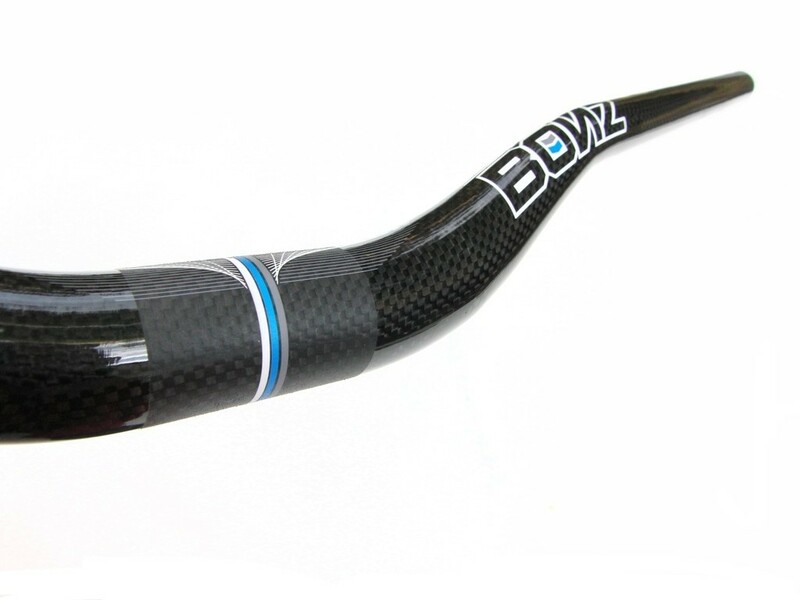 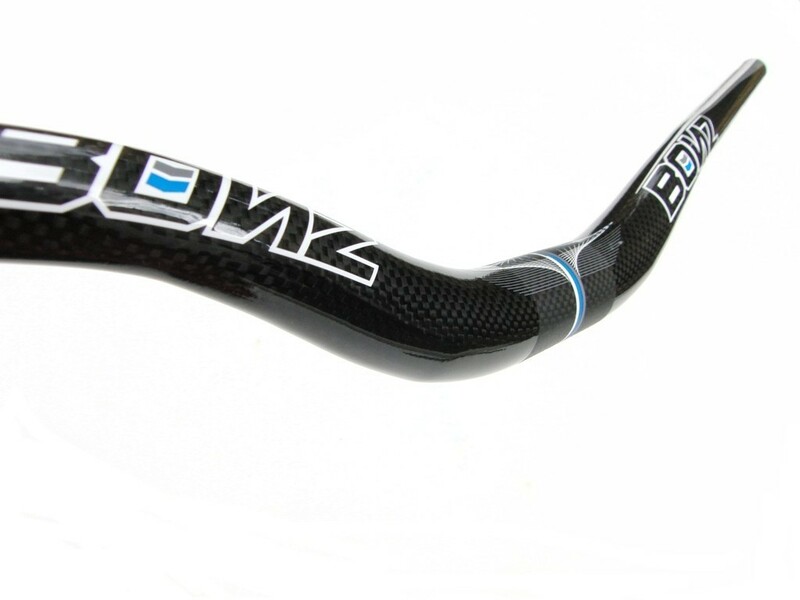 Carbon handlebar from Bonz, the Ozonys components brand. 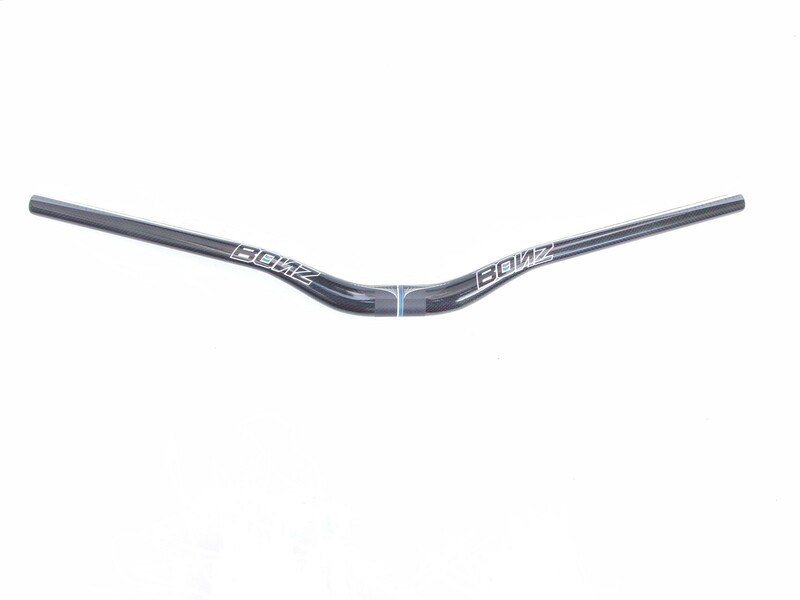 Oversized 31.8mm handlebar clamp, for increased strength, it's compatible with most of trials stems. 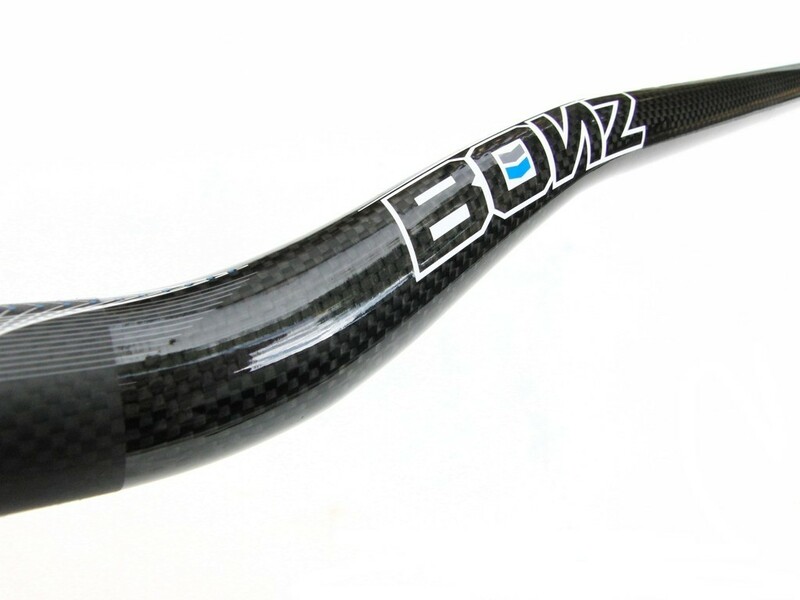 Finish: 3K (Carbon fiber finish) with white/blue Bonz logo.